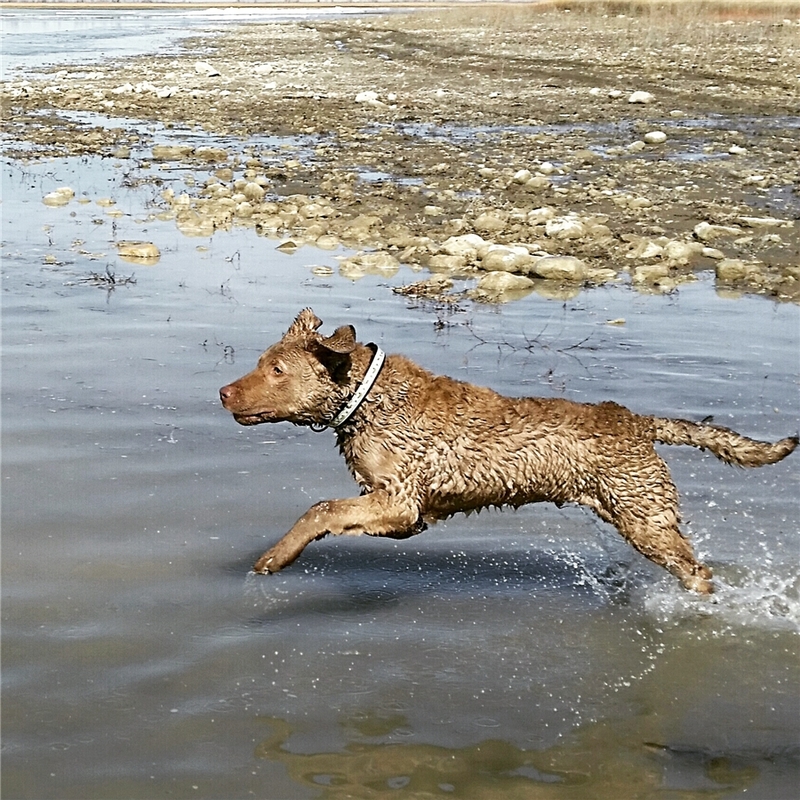 Here is our 5 month old Chesapeake Bay Retriever, Maverick, fetching in the water for the first time! He would have retrieved the duck dummy and sticks all day! He absolutely loves what he was born to do! We can't wait to get him on his first hunt this coming fall!